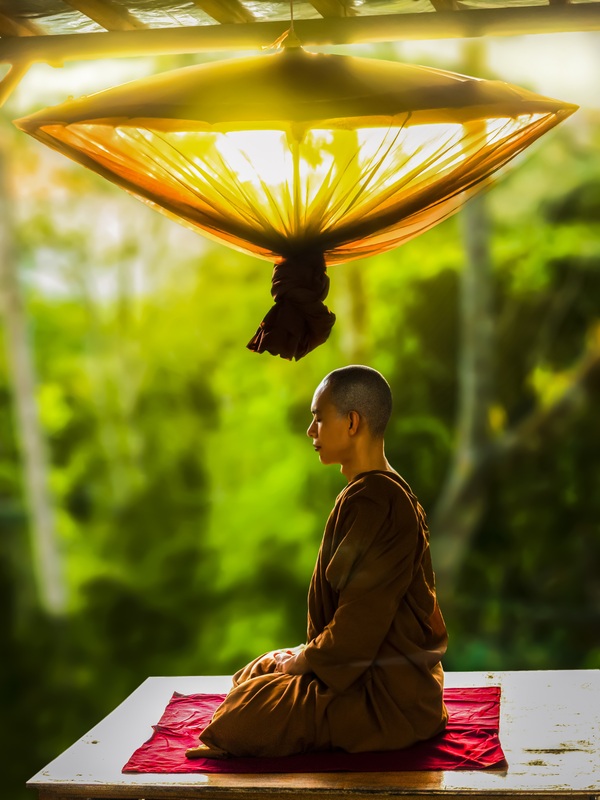 In the past, Eastern influences in health and well-being were not as mainstream in Western culture, where practices such as meditation were, at times, overlooked. However, in more recent times, many Western cultures have begun to incorporate more worldly approaches in health and well-being and we now understand the benefits of taking 20 minutes out of your day to just do… nothing. Have you ever gotten into bed and found yourself trying to fall asleep? But, instead, you’re stuck with racing thoughts, worrying about a seemingly never-ending to-do list, that ends up ruining the possibility of a great night’s sleep. Sound familiar? Well, you are not alone. Sleep disturbance affects millions of Americans and lots of people all over the world. The next day after a poor night’s sleep can leave you feeling rough, lousy and can sap all of your energy. How can you be productive with your goals if you aren’t feeling up to it and have not taken care of yourself? Well, the answer could be in mindfulness meditation. Mindfulness meditation is a practice which calms the mind by focusing on your breathing and being aware of the present moment. A 2015 study in the JAMA Internal Medicine investigated adults of 49 years of age and older who had trouble sleeping. Half of the control group were taught mindfulness meditation and other exercises designed to help focus on the present moment. The other half of the group completed a sleep education which taught them theoretical ways of improving their sleep. Over the course of the study, both groups met up six times, once a week for two hours. In comparison with the group who embarked on the sleep education classes, those who took mindfulness meditation had less fatigue, insomnia and depression at the end of the six sessions. In truth, the findings came as no surprise to Dr. Herbert Benson, director of the Harvard-affiliated Benson-Henry Institute for Mind-Body Medicine. “Mindfulness meditation is just one of a smorgasbord of techniques that evoke the relaxation response,” says Dr. Benson. ‘Relaxation response’, a term Dr. Benson coined in the 1970s, is a deep physiological shift within the body that is the opposite of the stress response. The relaxation response helps clear the pool of cortisol in your body and helps ease off many stress-related problems such as depression, high blood pressure and emotional trauma. Therefore, mindfulness meditation involves focusing on your breathing and allows your awareness to be brought to the present moment without drifting into concerns. It helps you break the constant traffic of thoughts and helps trigger the relaxation response. Dr. Benson recommends trying mindfulness mediation for, ideally, 20 minutes during your day. “The idea is to create a reflex to more easily bring forth a sense of relaxation,” he says. This makes it easier to evoke the relaxation response at night when you feel like you cannot sleep. To help you trigger the relaxation response, try these two easy steps. Step 1: Focus on something in your environment or background, such as subtle noises or your breathing. This is a portal into the present moment. Step 2: Relax and let go. Don’t judge yourself for how good you are at meditating: that’s not the point! Just be at ease with yourself, be comfortable in your own skin and accept whatever state you are in.